Don’t Let Them Die. They are Iconic American Horses ! 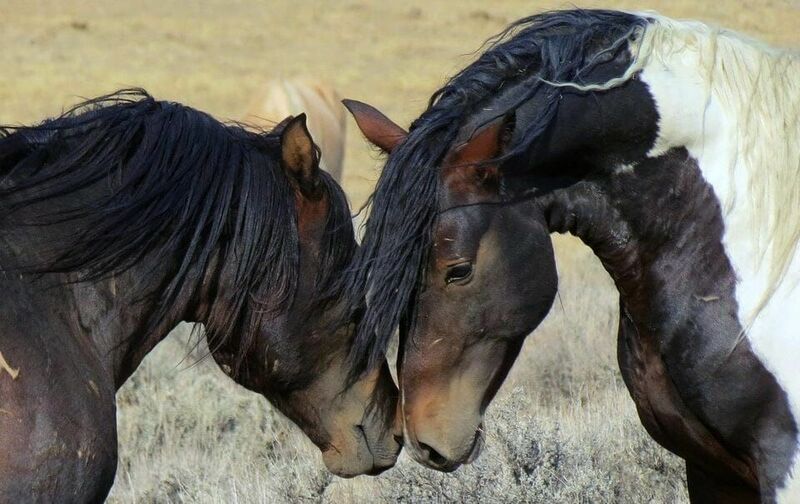 America’s iconic wild horses are in grave danger of being sold off to meat slaughterhouses in Mexico and Canada to face torture and brutal death. U.S. Forest Service has just built a corral for wild horses, and it’s holding 260 animals rounded up from Modoc National Forest in Northern California. The horses’ fates hang in the balance as they may soon be shipped off to foreign slaughterhouses and butchered for meat. Then, email Forest Service Chief Vicki Christiansen at vcchristiansen@fs.fed.us and urge her to stop the killing. Instead of brutally killing America’s horses, the government should enact cruelty free population control efforts, like reducing births — as well as protect the public land on which these majestic creatures roam free. We must speak out for the lives of these horses.